When choosing magnets for your next project, remember that friction can be helpful. A thin layer of something grippy can be incredibly helpful. 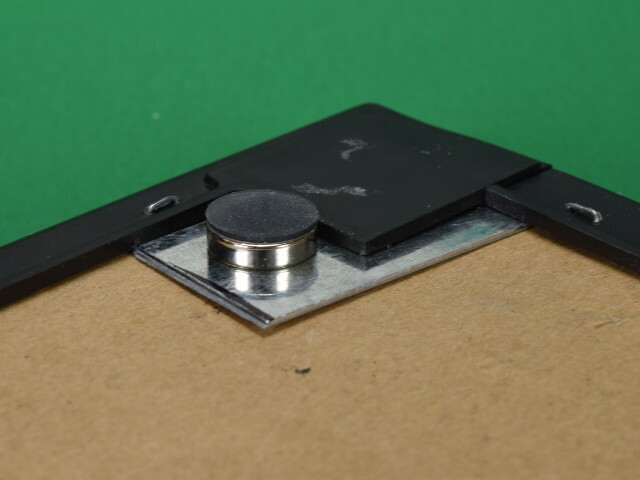 Let’s look at a few simple tasks where friction can make magnets work better. 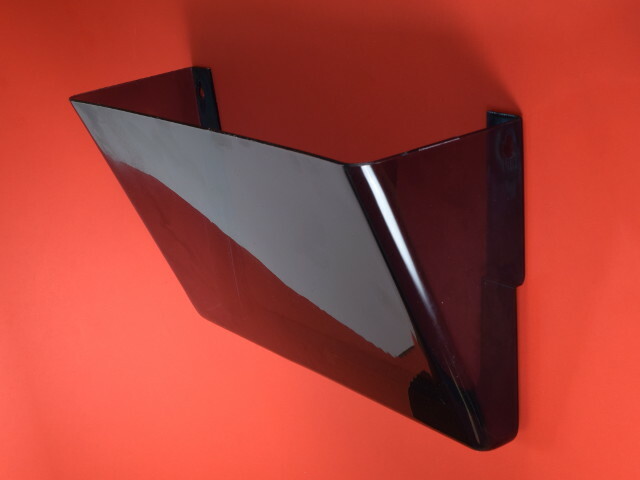 This plastic magazine rack has two holes for mounting. We didn’t want to drill holes to hang it up. Naturally, we used magnets instead. What magnets should we choose? What pull force is strong enough? We tried holding up the rack with pairs of ¾” diameter x 1/8” thick DC2 magnets sandwiching the plastic. With a bit of Scotch tape to keep them from sliding around, it seemed like a good plan. Testing proved otherwise. It slid easily down our steel cabinet. We added a pair of BP8 thin rubber bumpers on top of the magnets and saw a notable improvement. The setup still slid, but it was quite a bit stronger. This kind of result is especially interesting. The thickness of the rubber pad adds distance between the magnet and the steel cabinet, reducing pull force. The magnet is attracting with less force. Ultimately, though, it peforms better because the friction helps prevent that downward sliding motion. We also tried attaching small MM-D-12 mounting magnets to the holes. These were strong enough but introduced a new problem: Their metal surface scratched the painted surface of our cabinet. A high-friction surface or coating protects your surface. Our Rubber Coated Mounting Magnets worked well. They provided great friction, didn't scratch, and attached easily with a nut and bolt. It came with four magnets on the back to hang it to a steel wall, cubicle or fridge door. It has an internal sheet of steel, allowing magnets to stick to the front of it. 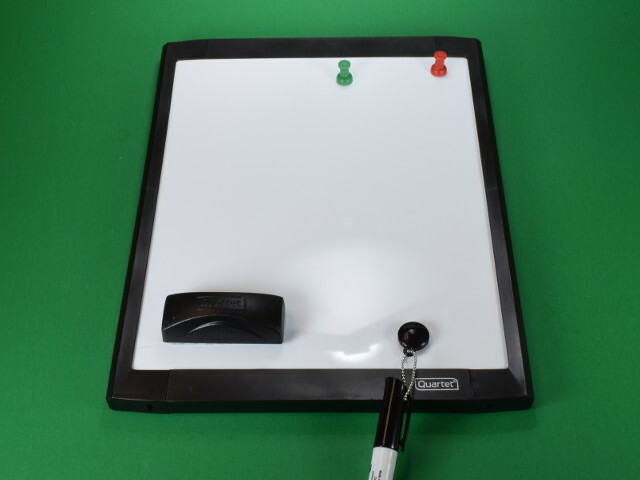 It came with a magnetic whiteboard eraser that sticks, which is a lot of fun. We stuck a few Magnetic Thumbtacks on it. The magnetic mounting was a bit weak in our opinion. Naturally, we ripped those timid magnets off and opted for a stronger option. Our first solution was to stick some adhesive-backed magnets straight to the corners of the plastic housing. Combined with a rubber bumper for more friction, we figured this would be an ideal solution. It’s easy to install and provides a strong hold. A D82 disc magnet with BP8 rubber bumper. We didn’t guess that the plastic would be so difficult. We love the 3M adhesive on those adhesive backed magnets, but it doesn't work well with some materials. This plastic seems to be one of those exceptions. When we stuck the whiteboard to a cabinet, one magnet broke free of the plastic. We needed a better solution. One of our engineers solved the problem with two small pieces of steel sheet-metal. Tucked under the plastic housing, they provided a nice surface for magnets to stick to. A pair of ½” diameter D82 disc magnets with BP8 rubber bumpers stuck nicely to those steel parts, no glue required. It provided a nice, sturdy hold we were quite pleased with. 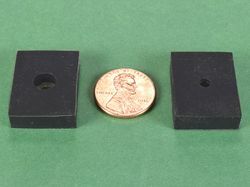 Left to right: A D82 disc magnet with BP8 rubber bumpers, a D82 disc magnet and a taller D86 disc magnet. This simple task really highlights the benefits of friction. 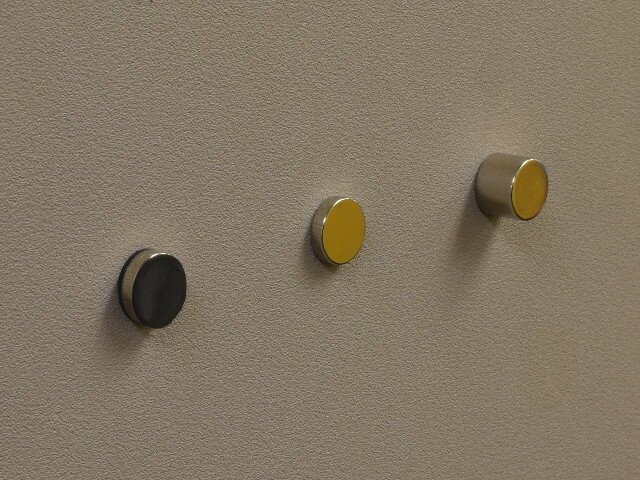 The goal is to hang keys on a cubicle wall using a ½” diameter magnet. With just the magnet alone, there’s not enough friction. It slides easily down the wall with a modest set of keys. We added rubber bumpers to both surfaces of the magnet. This helped keep the magnet stuck to the cubicle wall, and held the key ring quite nicely. We also tried using a larger, more powerful magnet without the rubber bumpers. Even with the much taller magnet, it would slide fairly easily. The 1/8” thick D82 with rubber bumpers completely outperformed the thicker D86 magnet without bumpers. 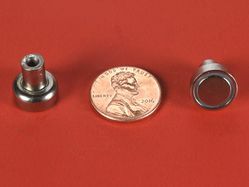 Adding friction can provide better performance while reducing the magnet size as well.